When applied to the cinema, mise-en-scène refers to everything that appears before the camera and its arrangement – sets, props, actors, costumes, and lighting. So let’s borrow the phrase – for a photographer it can refer to most of what goes into a composition of a given shot including framing, lighting, and movement of camera. 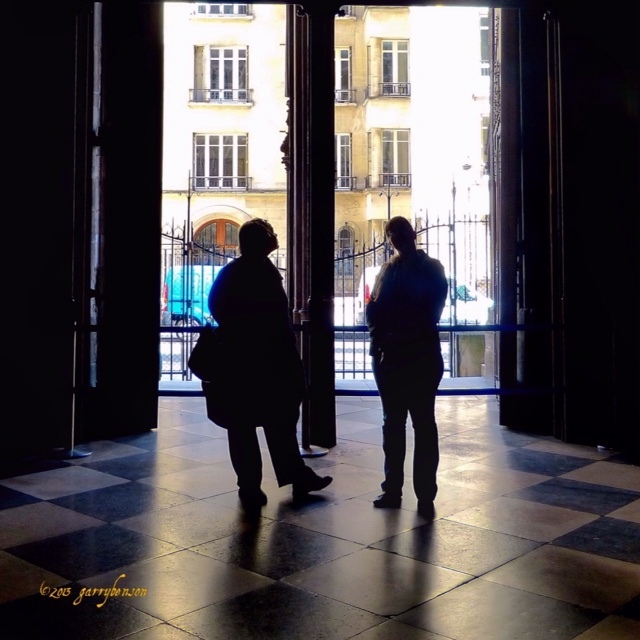 In the same way, when you walk into a new environment, a foreign city or even the local shopping centre to take photos, you are part of the mise en scène. But with a big camera and a long lens, you tend to stand out like a shag on a rock and draw lots of attention. So chill, sit down and have a coffee, become part of the environment around you and soon people will accept you and your camera. It’s amazing how people react and accept that you’re harmless and nobody is paying much attention to you. So that’s your goal, fit to the point that nobody’s taking any notice of you – you could say that’s the opposite to the rest of your life! In fact just last night, I was walking through my hotel lobby when I got the opposite reaction. A young woman noticed my pro-looking camera and asked if I was a professional photographer as she’s looking for a wedding photographer. As I live 3,000 km away on the date of the wedding, I demurred. To capture those memorable random moments just be patient, keep the camera in view but not pointing at everyone and soon those magic moments will appear. Pick an area that’s in the middle of everything, but not directly in it. So from across the square, above from a bridge, or almost anywhere once you’re part of the mise en scène you can capture life as it happens around you. In this case, patience is a virtue and of course these days everyone is a photographer with their iPhones, iPads etc. I was recently in France, when everyone was taking photographs with their handheld devices, while we were waiting to enter Notre Dame. 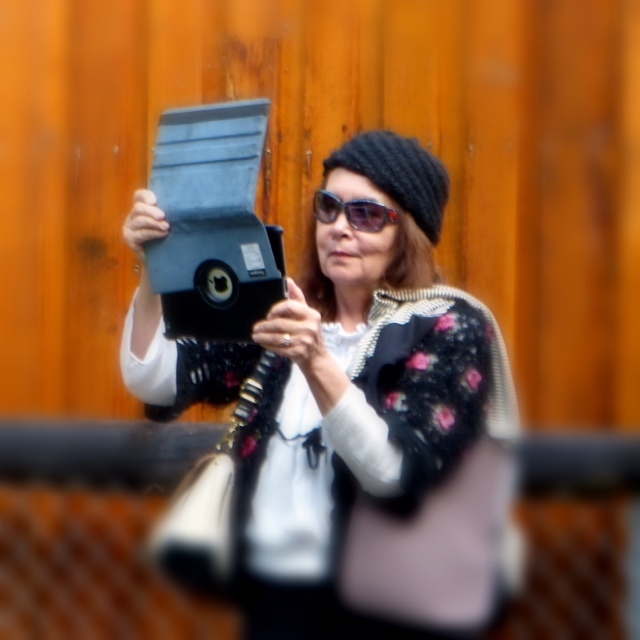 I particularly noticed that a lot of mature women hold up their iPad & shoot a quick image or two. Even my lovely sister Bev uses her iPad as a camera a lot, and apart from the lack of a zoom lens she gets remarkably good shots at a close-up range. However, hope springs eternal and now there’s the iPad Telephoto Lens , a Telephoto Lens for that giant viewfinder of yours, your iPad. 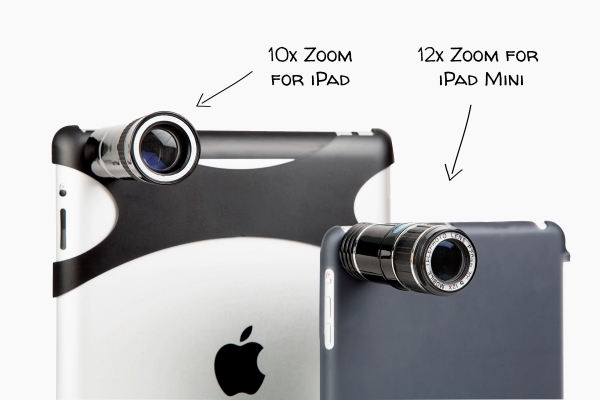 At a cost of around $AUD 50 this strange look beast turns your iPad into a solid zoom camera! And what if you’re extra shy about pointing your DLSR camera around? 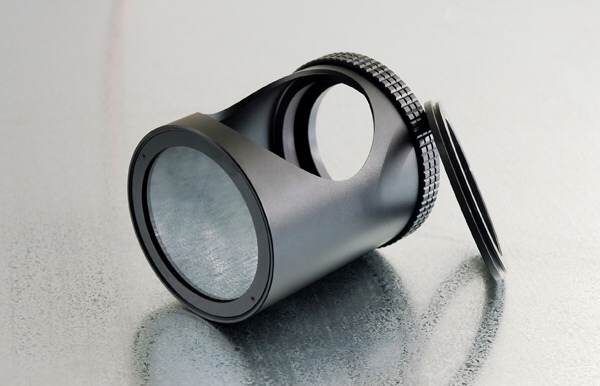 Well, perhaps the Super-Secret Spy Lens would be perfect for capturing some street photography. It allows you to shoot at a 90˚ angle. Now I’m not recommending the above two add-ons, but perhaps it’s worth risking a few bucks.